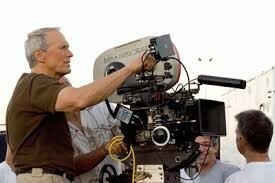 So when I googled images for Director this is what came up! 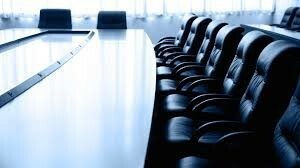 But your view of Board directors is probably more like a senior white male in a suit who works in a room like this. 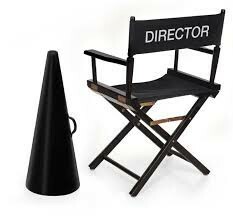 My experience as a director has been for a small business, the Actuaries Institute and a superannuation trustee company. I’m pleased to say that in reality the composition of boards of directors is changing, with diversity being a key component boards consider (or certainly should) when appointing new members. The specific role of a director to challenge management across all areas of the business: strategy, operations, human resource management, investments and a wide range of other aspects of the business makes the argument for diversity of experience, thought and judgement, easy to make. This is one of the rewards of a role as a director, the opportunity to work with people who have different experience, skills and backgrounds from you. These are people you can learn from and with whom you will debate, using the range of experience to increase the robustness of the discussion. In the current environment there is high scrutiny of the role of the director, both within organisations and very publicly, for example in financial services following the Royal Commission, in child protection, the terrible deaths at Dreamworld and many more. This illustrates the potential downside of being a director, not just the potential for litigation, fines, or even jail but also your potential impact on real people and how their lives can be affected by the behaviour of an organisation. This is a serious responsibility and should really focus the mind on the risk aspects of the role as well as profit. Thinking about these issues brings to the fore one of the core challenges of being a director – finding the balance between standing back to consider the high level strategy but at the same time being able to ask questions which will bring the right information out while not diving into too much detail across the business. How much work you are prepared to do - within a smaller organisation you might find yourself much more hands on and expected to get involved in the day to day running of the organisation, particularly if it is not for profit where there are limited resources. Even if the expectation is half a dozen meetings a year well planned in advance, when there are crises or even just internal changes which require your time, you will need to be available to contribute. Such events may often happen during that well planned holiday. In a new start up you may be recruited for your skills in business or contacts you have with potential investors, and payment may be based on the success of the organisation. Consider how comfortable you are with this? Who else is on the Board and in senior management? Consider how well you could work with them. This can be difficult to know in advance but a successful Board needs to work together while still challenging and bringing different views. It is useful to meet some of the Board in advance and in particular to find out how the senior management team provide information, respond to requests and whether they use the board oversight a providing a useful contribution or a source of unnecessary work. Satisfaction in being part of the success of a small business, seeing it achieve its objectives. Contributing to an organisation which supports a cause which you are passionate about. Having a role which is quite different to a corporate one and seeing things from a new perspective. The satisfaction of feeling as if you are doing something worthwhile and adding value by providing the right level of challenge to management so that they believe there is a better outcome for the business as a result of the interaction between board and management. I love to travel – how can I combine this with my work?